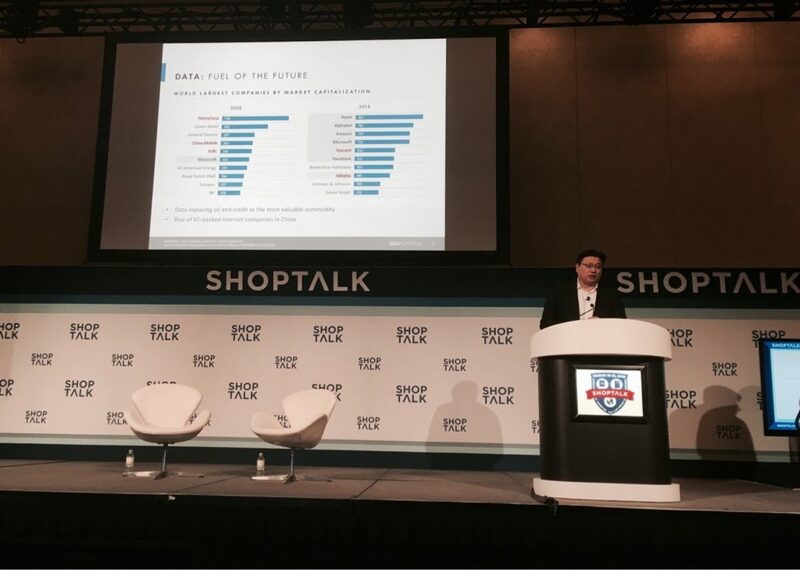 Shoptalk 2018 has just ended. 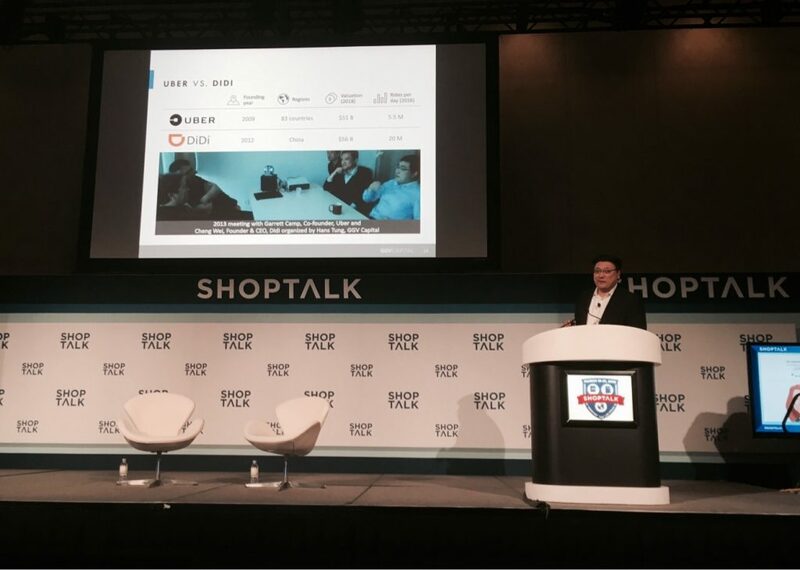 They position themselves as the World’s Largest Conference for Retail & Ecommerce, and truth be told, that is no exaggeration. Currently, this way, you buy products you don’t even care about, e.g., toilet papers and detergents. But as stated, you will read about these everywhere else. What I would like to share with you are my “5 Aha!” Moments that I had during these 4 busy days. 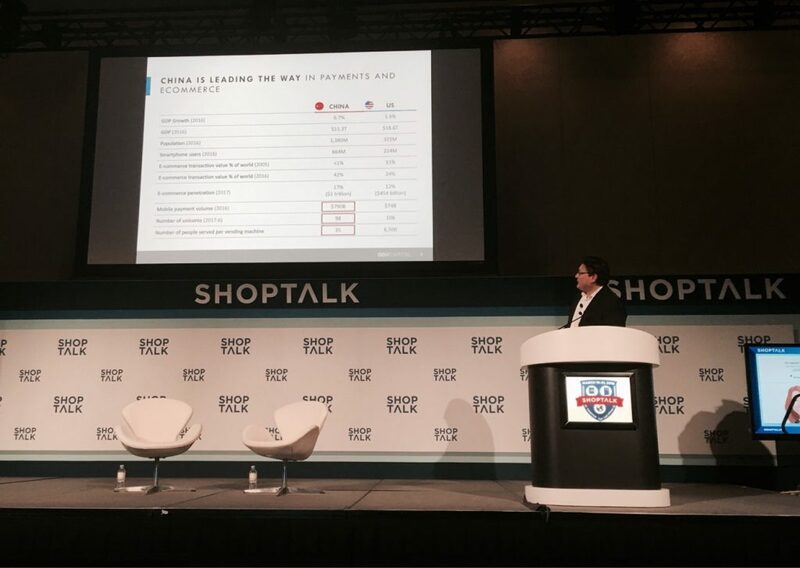 I happened to attend 2 sessions which covered either the Chinese market or a company from this country, and I was literally blown away by the numbers. BingoBox expanded into 30 cities in just 6 months and now there are more than 300+ Boxes in operation. The pace of China is so fast that Hans Tung’s presentation was not up to date the moment he finished it. To get a grip on Chinese innovation, I would advise you to subscribe to 996 blog (you may also try Walk The Chat blog to get a glimpse into a completely different type of e-commerce platform). MANGO is a European fashion brand that operates in more than 105 countries and sells online in more than 80 of them. Roger Graells, Global Online Sales Director at MANGO, shared his insights on the ecommerce challenges and opportunities that brands face when expanding into new markets. Expanding to new local markets is not easy but is manageable. Before entering any particular market, remember to research competition thoroughly as local players can be incredibly strong (e.g., eBay couldn’t stand its ground in Poland against Allegro – the local behemoth). The online world is growing at an extremely fast rate – no doubt about that. 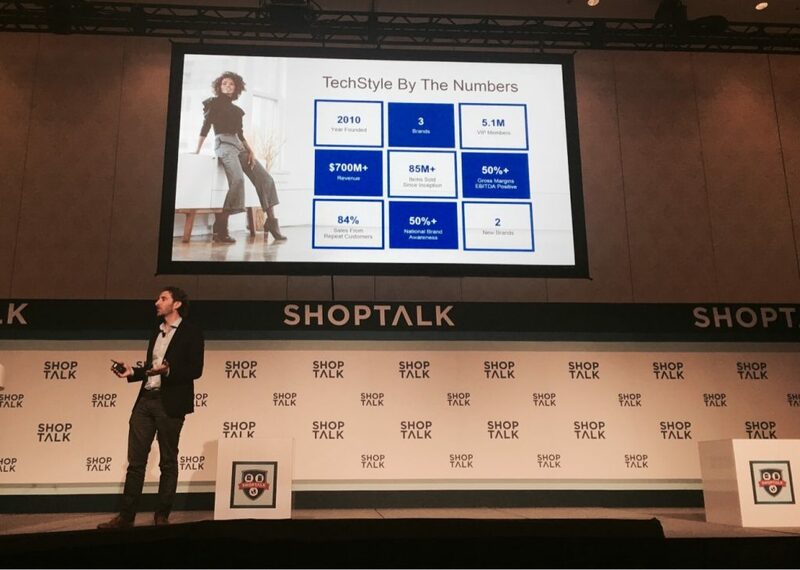 However, when I listened to Adam Goldenberg, Co-CEO at TechStyle Fashion Group, as he went into the details of their brands’ successes, I got the impression that most of the online teams are not fast enough in their approach to testing and iterating everything they do. 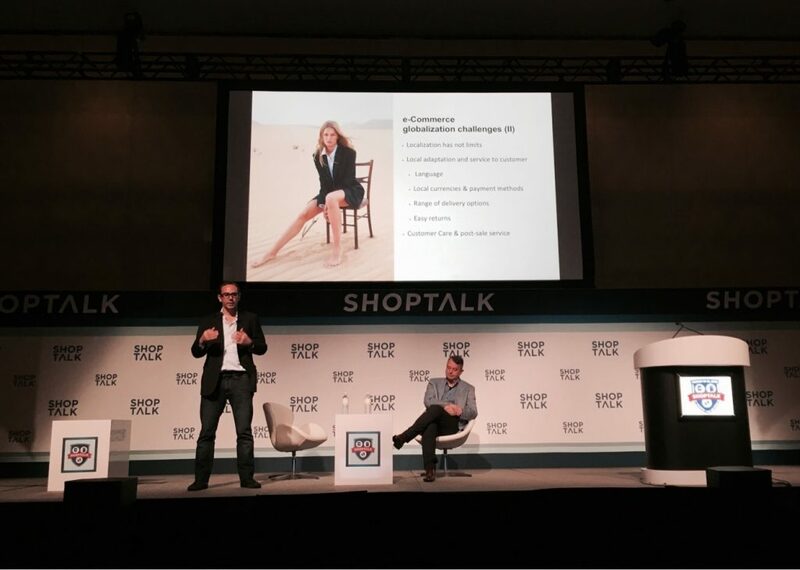 TechStyle Fashion Group manages four brands: JustFab, ShoeDazzle, Fabletics & FabKids. The company was founded in 2010 and has already managed to hit $700M+ in revenue. Now, guess how many website iterations for improving user experience they have managed to test in a year? I don’t think that your guess was anything near 2,000+ – the number that Adam mentioned. Well if you do not have a continuous process of website evolution, then that is a goal you should consider setting. TechStyle’s teams approach traffic acquisition in a similar, agile way. They design and test a whopping 35,000 ad creatives every year and verify 150 TV commercials. In just 16 days from the start of their new year’s advertising campaign, they were able to come up with a creative and a landing page that were 2 times more effective than those that were served on the first day. 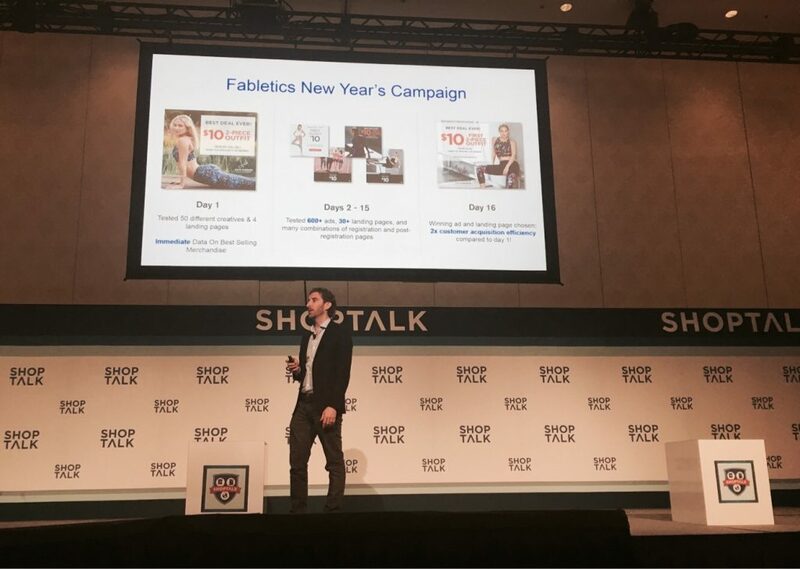 Fabletics New Year’s Campaign: after 16 days the winning ad and landing page variation had a 2x customer acquisition efficiency compared to day 1. Therefore, the best way is to encourage your customers to share their experience with your brand on your social media platforms. For example, Poshmark has designed their platform in a way that every seller spends half of their time promoting other sellers. They have created a community where you have to help other sellers if you want to gain followers and succeed at Poshmark. With this approach, they have become one of the largest generators of pins on Pinterest. 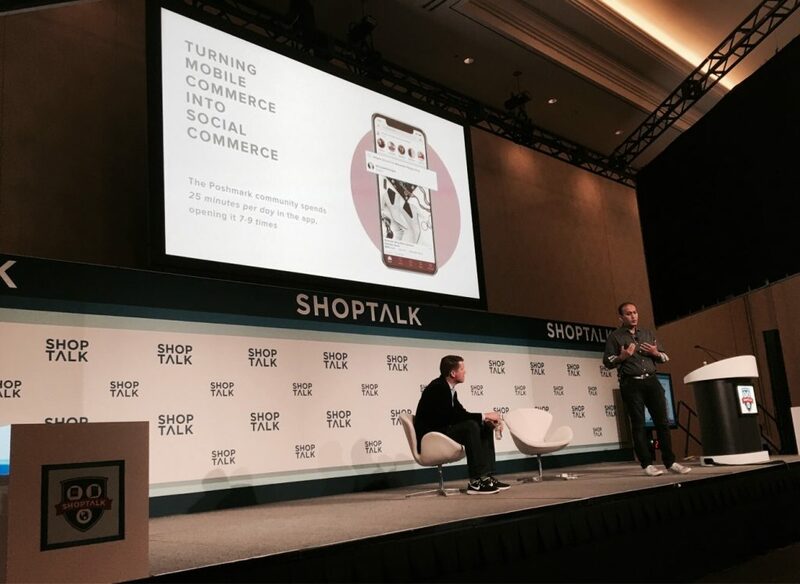 The Poshmark community spends 25 minutes per day in the app, opening it 7-9 times. MATCHESFASHION.COM is another extraordinary example from the fashion industry that leverages user-generated content to sell their products. 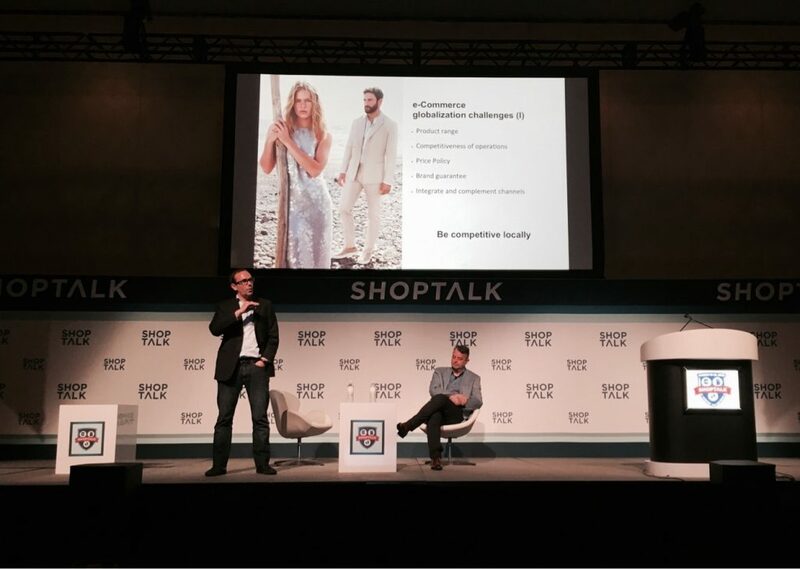 As Urlic Jerome, CEO of MATCHESFASHION.COM, stated – 50% of their website is content, and this content drives 35% of their revenue. For example, you can shop directly from posts of users. Check out on your own how MATCHESFASHION.COM, Poshmark, Glossier and Ascena’s brands engage their users on a daily basis. Taking a look at the data describing the 10 biggest companies in the world by market capitalization, you will notice that 70% of them are from the online/tech sector. 7 out of 10 biggest companies in the world by market capitalization are from the online / tech world. If you think about the launches of retail brands in the recent years, you will realize that most of them began in the online world. Think of Chewy, JustFab or Fablitics; all these companies indentified an underserved customer segment that could benefit from better product/service offering. Having attained a strong online presence, some of these brands then go into the offline world to create their first stores. What is really interesting is how they usually perceive their physical locations. Usually, they don’t treat them as a way of customer acquisition since this can be achieved at a lower cost online, but as a way of loyalization to bring a higher LTV. For example, Fabletics opens its stores in the areas with the highest density of their clients. Apparently, they have noticed that customers in the regions with physical store locations spend 2.8 times more than customers in areas without such stores. 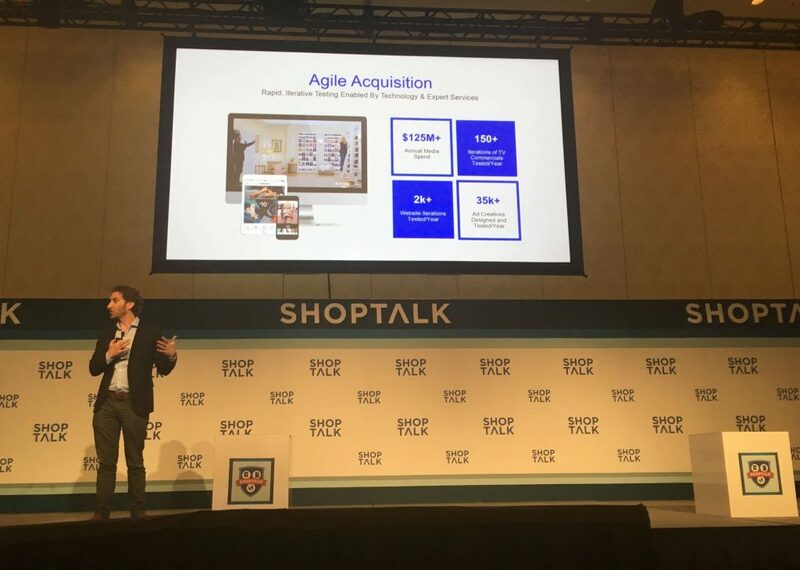 I really had a great time at Shoptalk 2018. There was a lot of great, interesting content, which was very impressive. The event gives you a chance to meet great people and chat with retailers, innovative tech companies, best thinkers and influencers. Kudos to the organization’s team for making it all happen. More time to explore the exhibition hall. It would be great to have about 3-4 hours of time dedicated to exploring the exhibition hall. Sessions were great, but if you wanted to attend the ones that you were interested in, there was simply not enough time to explore all the great companies that were showcasing their products. More presentations on China and more speakers from China. This country has been developing at an incredibly fast rate as indicated by the tremendous statistics. 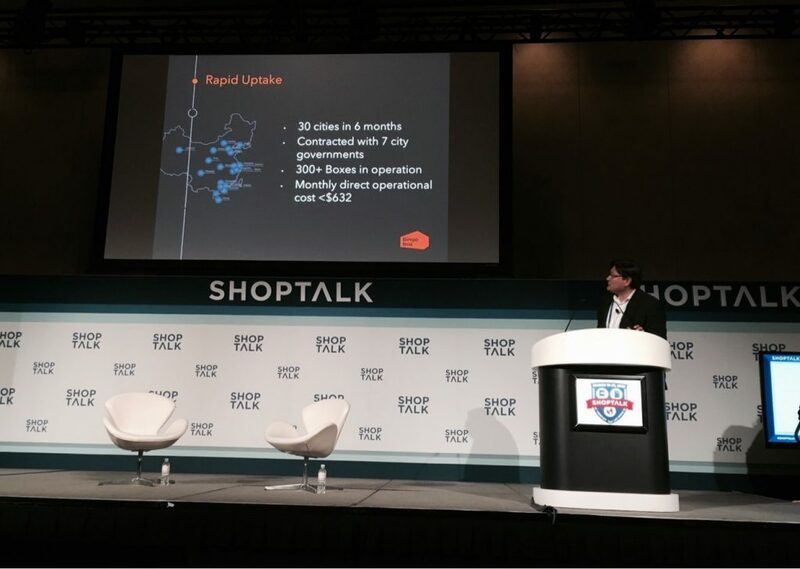 We are excited about Amazon doing cashier-less stores and having them on Keynote on day 1. However, they have only 1 physical location with experimental store while Bingobox in China has over 300. So, frankly, which story should be presented on the main stage? Also check out our free ebook about the future of ecommerce development to not be left behind with latest trends and techniques for successful online store! 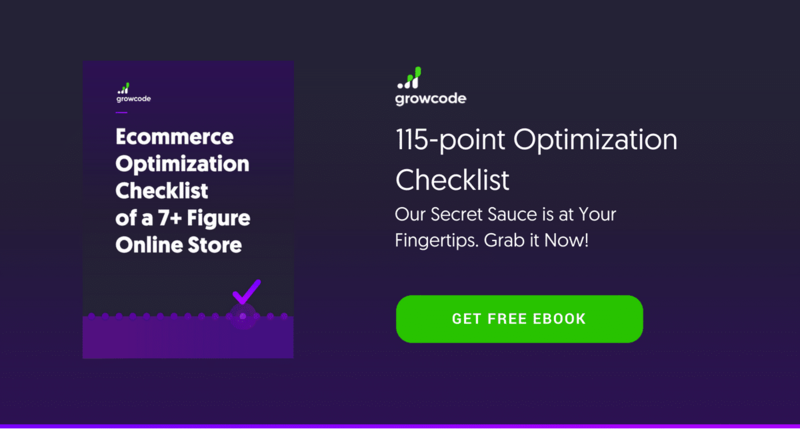 Do you want to become an 115-point ecommerce optimization checklist for 7+ figure online stores. Use it to enhance every part of your store, from the home page to the check-out forms. Oh, and don’t worry, we’ve broken it down into manageable chunks!